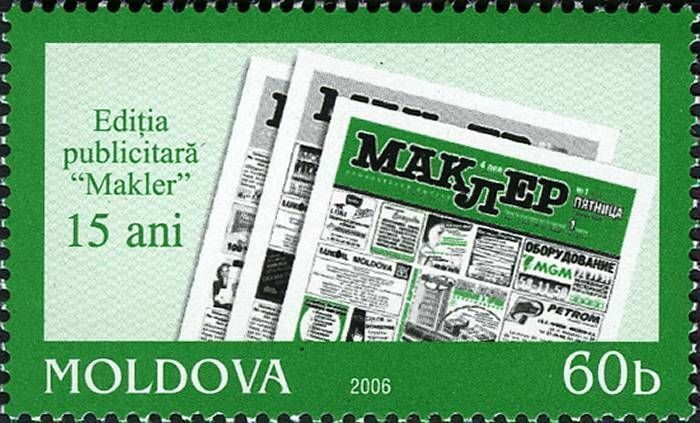 On 20 January 2006, the Post Office of Moldova (Poșta Moldovei) issued a postage stamp with the title 15th Anniversary of the Advertising Publication «Makler». The issue comprises one stamp, with an associated cancellation (postmark), but no official first day cover (FDC) was issued. The designer was Makler Studio. The printing was performed by Tipografia Centrală, Chişinău.